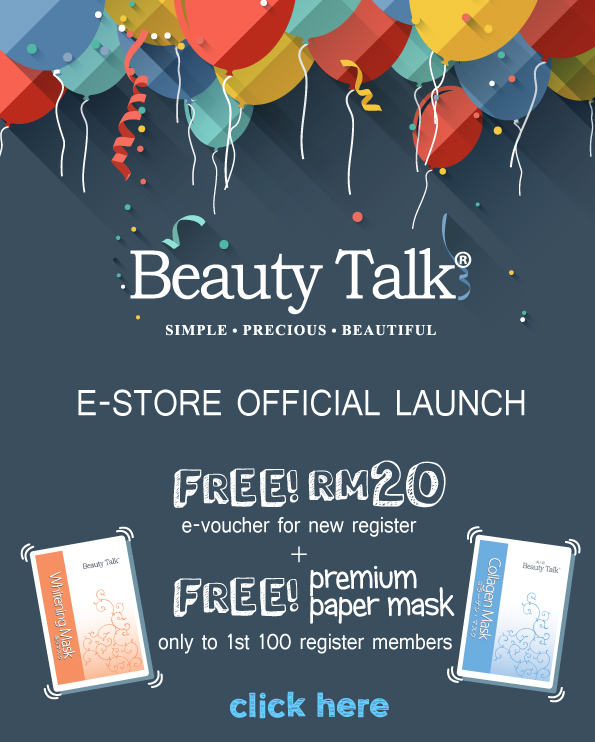 E-store official launch @ Beauty Talk. Free RM20 E-Voucher for new register and free premium paper mask. Click here now to get your freebies.